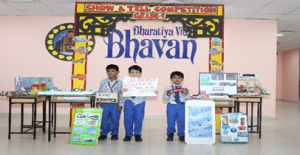 The bouncy toddlers of newly welcomed kids to primary level, Grade 1, mesmerized their peers and teachers with the sprightly abilities to show and tell their topics on 6th September 2018 at Bhavans Smart Indian School. 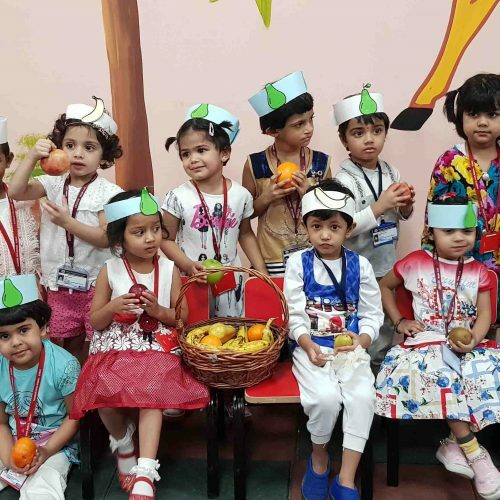 The children were given the theme “Means of Communication and Transport” as part of the encouragement to tap their innate speaking skill. 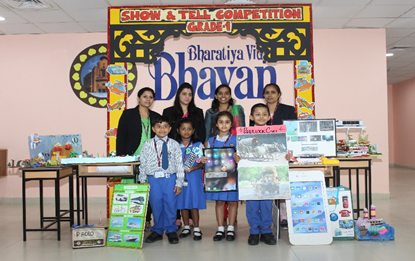 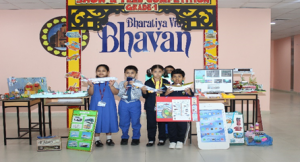 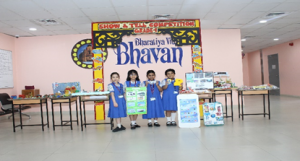 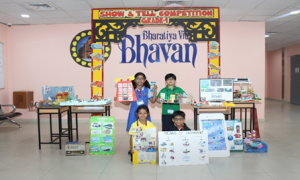 Each class had different judges with the participation to be seen from all coupled with the apparent help stretched out by the parents in the form of creative and striking props which symbolized co-operation and encouragement for the school activity. 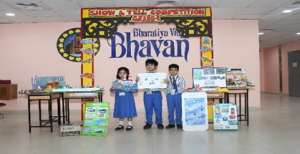 The students spoke at length about helicopters, airplane, Ferry and much more with the addition of the gradual development seen in transport over the period. 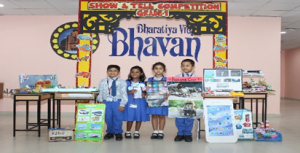 The communication contained telephone, fax, radio and Internet revealing the progressive world of fast approaching technology. 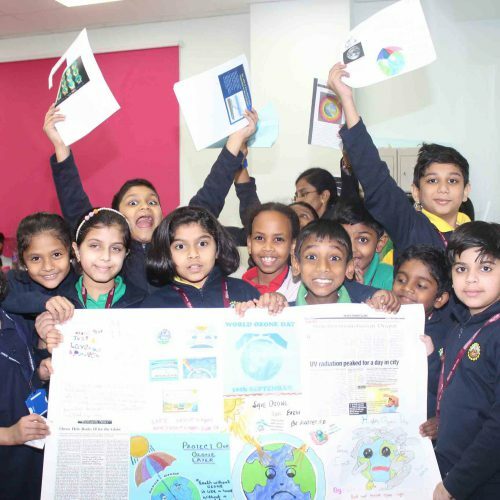 The essentialities to rely on both modes and the advancement that the period under each creative brain is susceptible to were listed and highlighted by the children. 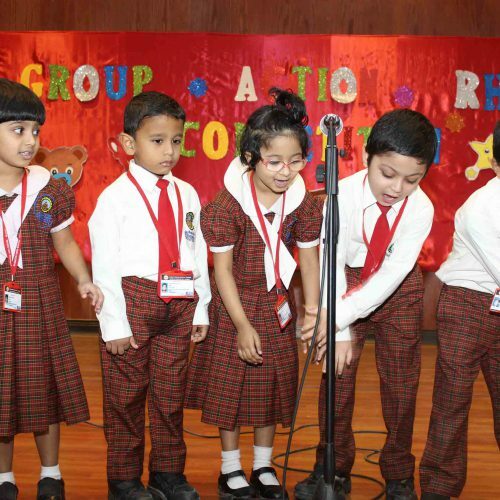 The positions were awarded under the effective rubrics framed by the teachers in charge and the unbiased judgmental positions by the judges bagged three positions to all the top orators of the day. The love, support and concern given by school Principal – Mr. Mahesh Iyer , Vice Principal – Ms. Albin Daisy and the class Co-ordinator – Ms.Mridula motivated the activity to be possible on that day.